Dr. Weiser-Erlandson joined Texas A&M University – Central Texas in 2014 as its founding biologist and has since developed the BS Biology program and five state-of-the-art teaching laboratories. 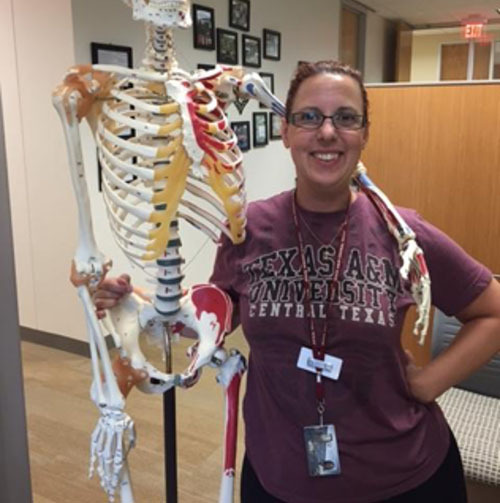 Prior to A&M-Central Texas, she spent 11 years at SUNY Polytechnic Institute where she also developed a BS Biology program and subsequently served as the biology program coordinator. She holds a MA in Biology from SUNY Binghamton and a Ph.D. in Entomology and Ecology and Evolutionary Biology from Iowa State University. Her teaching interests include a variety of courses in ecology, animal behavior, entomology, invertebrate and vertebrate zoology, and biological control. Dr. Weiser-Erlandson received the 2017 TAMUCT Ignite Faculty Award, TAMUCT Student Government Association RECKED (Recognized for Excellence, Creativity, Knowledge and Engaging Diversity) award, Teaching Excellence award at Iowa State University, and was a nominee for several teaching awards while at SUNY Polytechnic Institute. Dr. Weiser-Erlandson is currently developing a biological control research program which focuses on insect predators and parasitoids of Central Texas. Her projects range from the biology and management of the sugarcane aphid in Central Texas sorghum to the population dynamics of lady beetles, lacewings, and other insect predators. Dr. Weiser Erlandson frequently includes her students in research projects and their presentations at professional conferences have won numerous awards. Dr. Weiser Erlandson has been a finalist for the TAMUCT Outstanding Faculty Quantitative Scholarship Award two years in a row.